To order a mineral give the mineral name and number of the specimens(s) you wish to purchase. 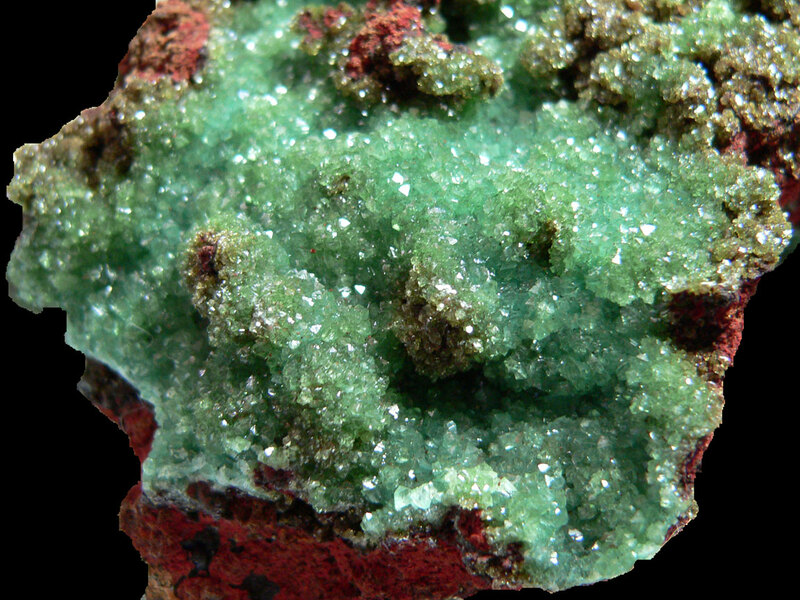 A fine blue-green Austinite on a limonite matrix from the famous Ojuela Mine. 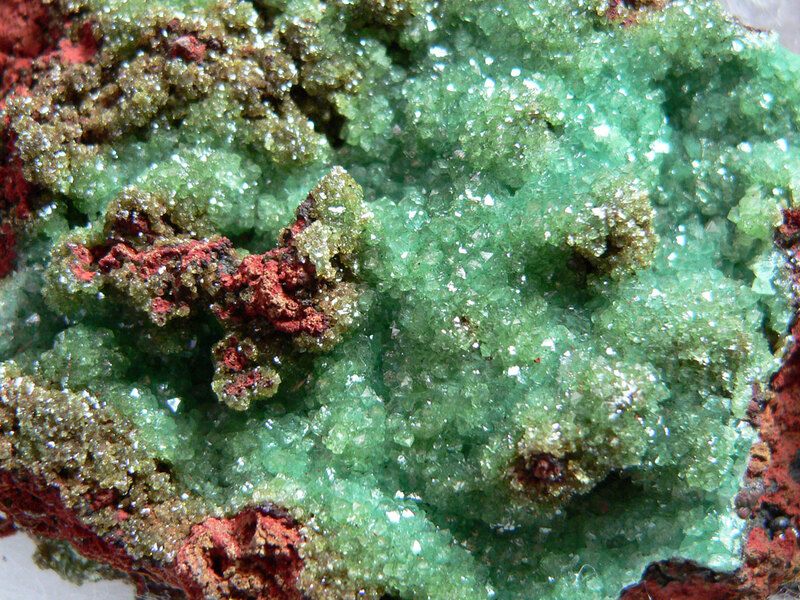 This specimen was found at the Tucson Gem and Mineral Show in 2017. 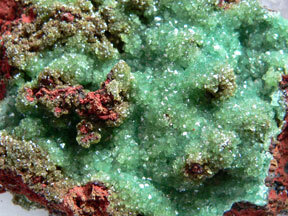 I am very impressed with this specimen by the contrasting colors of the Austinite with the Limonite. 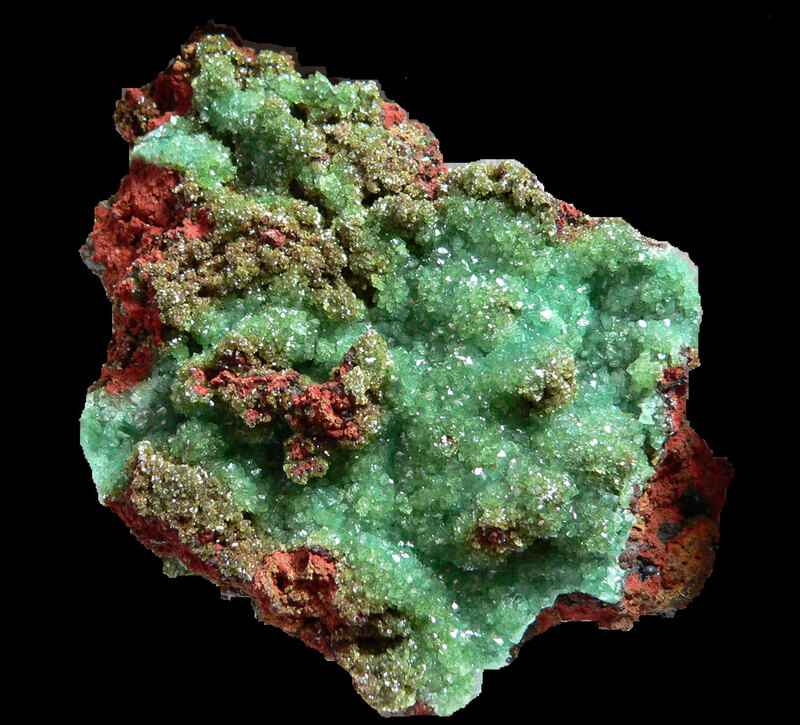 The Limonite color is more red (less brown) than usual. 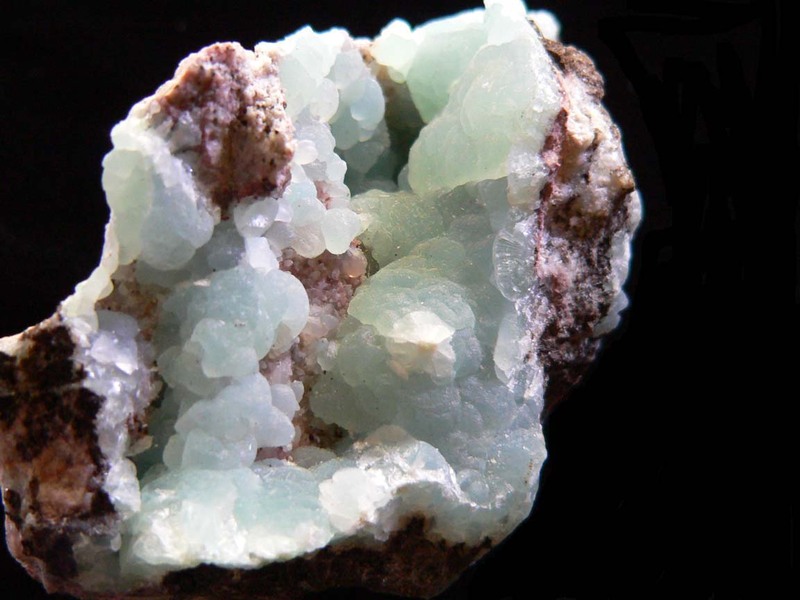 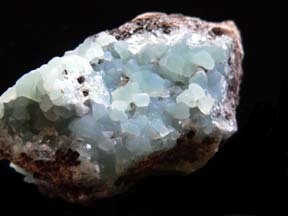 Click on the specimen to enlarge it and check out the limonite color and the blue-green crystals of Austinite. Another view of this same outstanding specimen.